Does your business require the use buzzwords or technical jargon? Is your audience looking for further education on a particular topic or industry? Use OneSpace to write definitions for key terms in a way that a general audience can understand. 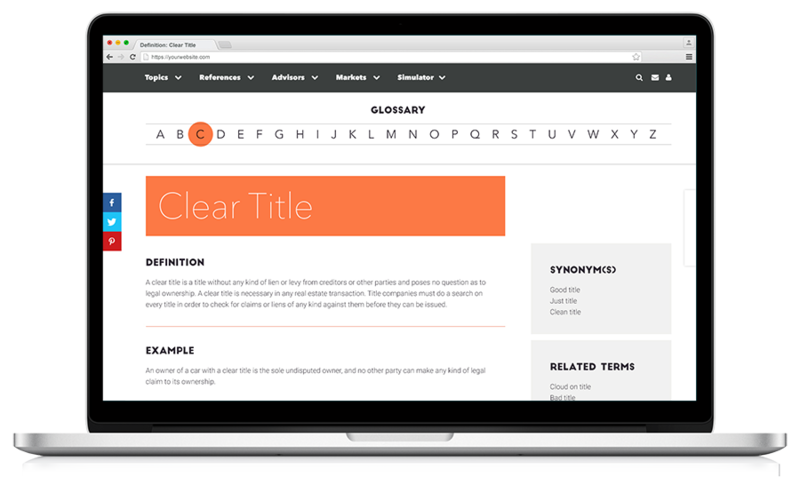 OneSpace has helped create definitions for leading publishers and brands, from culinary websites to financial resource networks. created 600 definitions in one month. created 1,300 definitions in one month. By publishing unique definition content, you can establish your brand as an authority and prevent readers from leaving your website to find important information. Educate: Define key terms and important buzzwords. Differentiate: Set your business apart as an expert in your industry. Retain: Reduce bounce rate by keeping readers on your site. Connect: Feature key definitions as text links on websites and mobile apps. 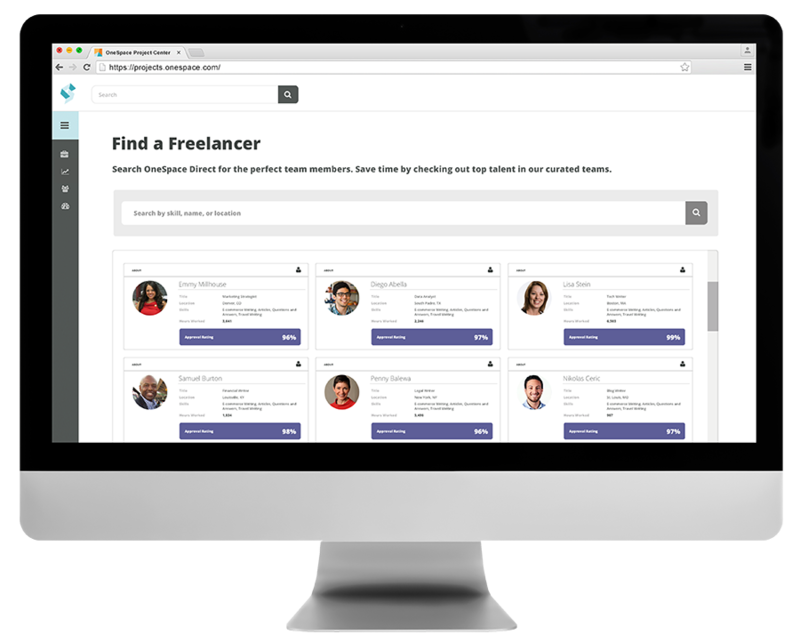 OneSpace is a workflow automation platform with a built-in network of on-demand talent. Every subscription comes with a robust suite of features designed to help you create definitions at scale. Post custom assignments to a virtual workspace that your teams can use to write definitions anywhere, anytime. Write definitions at scale and optimize cost, velocity and quality using our point-and-click workflow automation tools. Start building your definition database in minutes using OneSpace’s automated workflow templates. Each template includes instructions based on industry best practices and is easily customizable to meet your unique requirements. Supply the writer with a term and your brand’s voice and style guidelines. A writer researches the meaning of the term and creates a short definition with real-life examples. 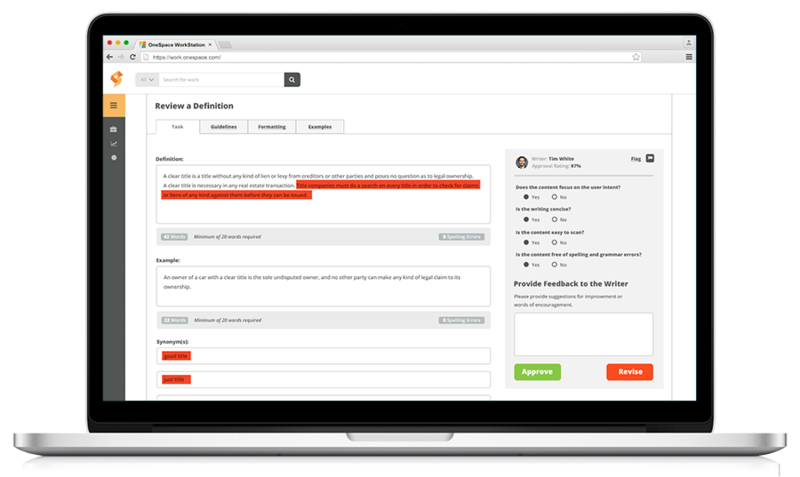 A trusted content reviewer or member of your internal team reviews the final definition to ensure it meets requirements. Use a professional lexicographer for added confidence. 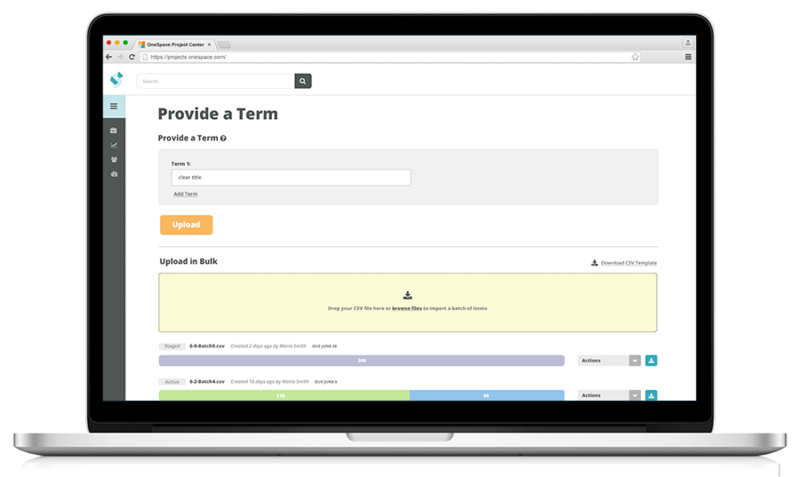 Upload the completed definitions to your website, or publish automatically via our API. Gain instant access to the best talent OneSpace Direct has to offer with our hand-curated teams of freelance content experts. These writers and editors have experience creating definitions for terms in a wide variety of categories.